When George Fox was founded in 1891, its creators envisioned two things: a challenging educational experience and a community where students could deepen their faith in Christ. This focus on the whole person – what we describe today as our “Be Known” promise – remains as vibrant and relevant now as it was 125 years ago. It’s a promise that compels us to focus on the individual in such a way that it ignites faith, empowers a vision for the future, and prepares students for a world of diverse and ever-changing vocational opportunities. As the oldest Christian university in Oregon, we strive to be leaders and innovators as we move forward into a new era of higher education. But the core of who we are remains unchanged: At George Fox, you won’t just be a number. You will Be Known. For more than 35 years, Marilyn and John Duke have demonstrated their passion for Christian higher education through both service to George Fox and their generous financial support of several initiatives at the institution. On the athletic front, their $2.5 million donation in 2011 – among the largest single gifts ever given in school history – financed construction of the 14,000-square-foot Duke Athletic Center, home to an athletic training room, a locker room equipped with 130 custom-made wooden lockers, coaches’ offices, a classroom and a terrace. The Dukes have been consistent givers to the university since the early 1980s, when their two daughters, Julie and Cindy, attended. 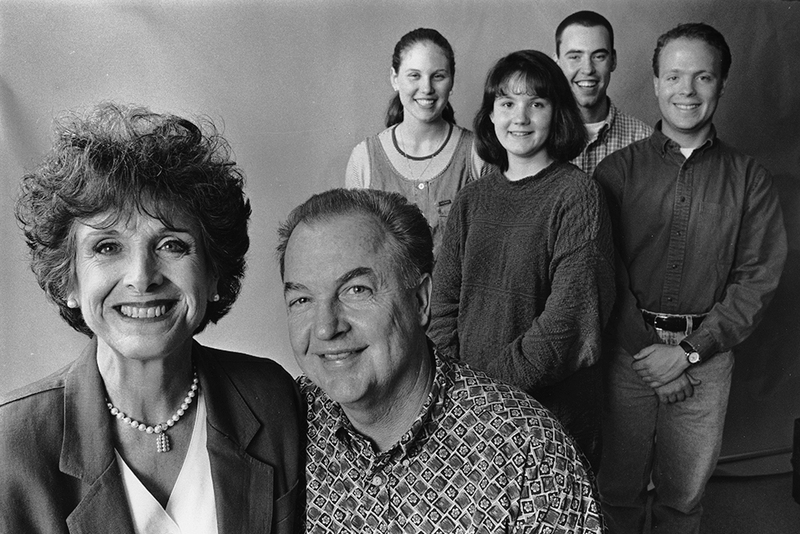 In addition, Marilyn and John served as honorary co-chairs of the university’s Legacy Campaign, and John served on the George Fox Board of Trustees for more than a decade, beginning in 1985. In their hometown of Rogue River, Ore., he also served as board chairman of Jefferson State Bank in Medford, Ore., and later in the same capacity with PremierWest Bank. Marilyn currently serves on the board of Youth for Christ/Campus Life. The Duke Atrium in the Stevens Center is named in their honor. 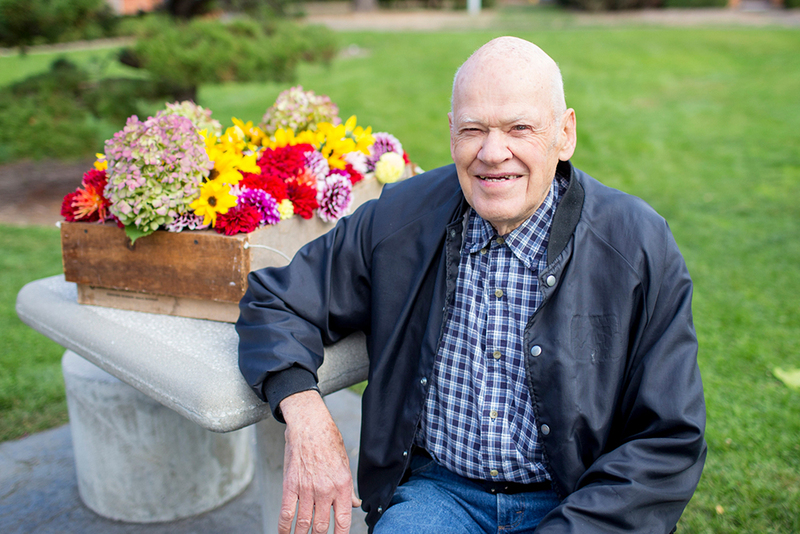 Roy Hiebert, known affectionately across campus as “Grandpa Roy,” was a supporter of George Fox University for four decades. Hiebert worked as a member of the plant services staff, where he cherished the relationships he built with student employees. When he retired, “Grandpa Roy” continued those relationships, coming to campus daily to offer a listening ear, a word of advice, engage in a fun conversation, and show love to students. Many on campus received flowers from Hiebert that he brought from his personal garden to share with students and employees. Hiebert passed away in 2016 at the age of 92. Raymond Cheung graduated in 1996 with a bachelor’s degree in business and economics after only three years of study. Soon after graduation he became a CPA and an auditor. In 2011, Cheung was named to the George Fox Board of Trustees; his nomination was renewed in 2014. 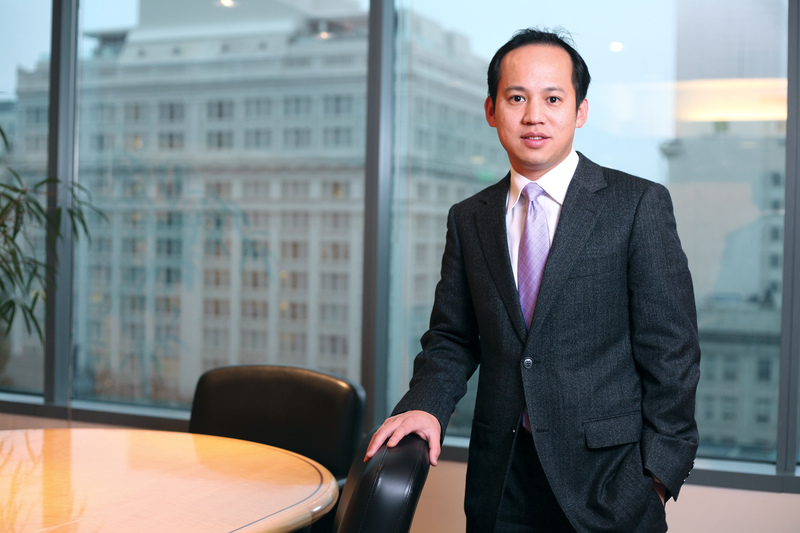 Cheung is a shareholder in the Portland-based Geffen Mesher & Company accounting firm. Evangeline Martin was a longtime supporter of Pacific Academy and Pacific College. As a school teacher and a Quaker she was passionate about education and supporting the educational efforts of the Friends church. Martin was a member of the college’s board from 1891 until her death in 1928, serving as secretary of the board from 1904 to 1926. Martin is best known for two major accomplishments. 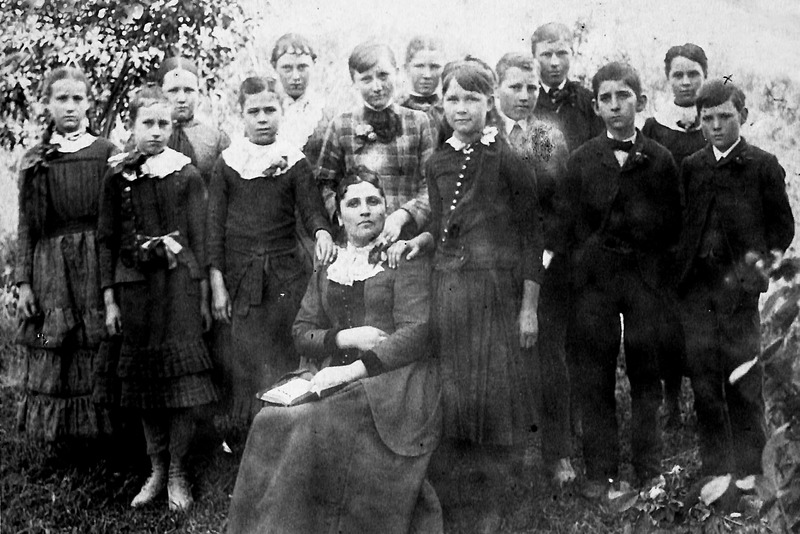 First, she was the Sunday school teacher for Herbert Hoover during his time in Newberg. Her teaching had a major influence on young “Bertie” Hoover, who returned to visit her in Newberg throughout his life. Second, when she saw the need for major growth at Pacific College to keep the school alive, Martin joined forces with Amanda Woodward to raise $30,000 to build a new building for the campus that would solidify it as an institution. The pair went door-to-door in a buggy pulled by their faithful horse, Kit, and slowly raised a subscription to support the building project. Wood-Mar Hall, named for these two ladies, still stands in their honor. 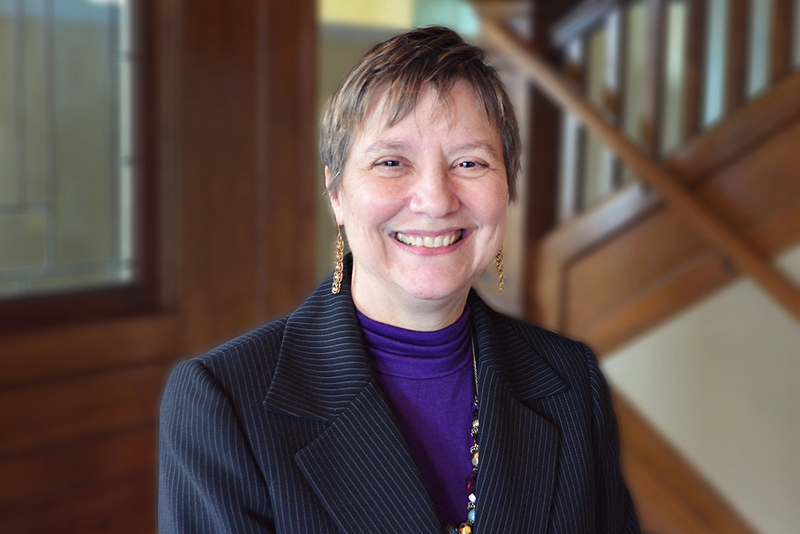 Becky (Thomas) Ankeny formerly served as general superintendent of the Northwest Yearly Meeting of Friends and is a member of Newberg Friends Church. Her parents were Friends missionaries in Burundi, Africa, for three decades, and she spent many of her first 15 years in that country. She graduated from George Fox in 1977 and went on to earn a master's degree in 1982 and a PhD in English in 1986 from the University of Oregon. Her PhD work was on the fiction of George MacDonald, a Victorian preacher and writer who influenced C.S. Lewis. She taught at Westmont College from 1986 to 1988 before returning to her alma mater, George Fox, to work as a professor of English and as an administrator from 1988 to 2011. Ankeny and her husband, Mark, are the parents of two daughters, Davida and Elizabeth, who with their respective husbands, Richard Brown and Jesse Dillow, all graduated from George Fox University. The future president of the United States, Herbert Hoover, attended Friends Pacific Academy, the precursor to George Fox, for three years beginning in 1885. That fall, Hoover, recently orphaned in Iowa, moved to Newberg, Ore., to live with his uncle and aunt, Dr. Henry John and Laura Ellen Minthorn. From Newberg, he worked briefly in Salem, Ore., before joining the first entering class at Stanford University in 1891. After graduation, he started work doing geological surveys and enjoyed a successful career as a mining engineer and consultant. He would ultimately be named Engineer of the Century, live and work on five continents, and direct some of the greatest humanitarian projects of the early 20th century. He was elected the nation’s president in 1928. 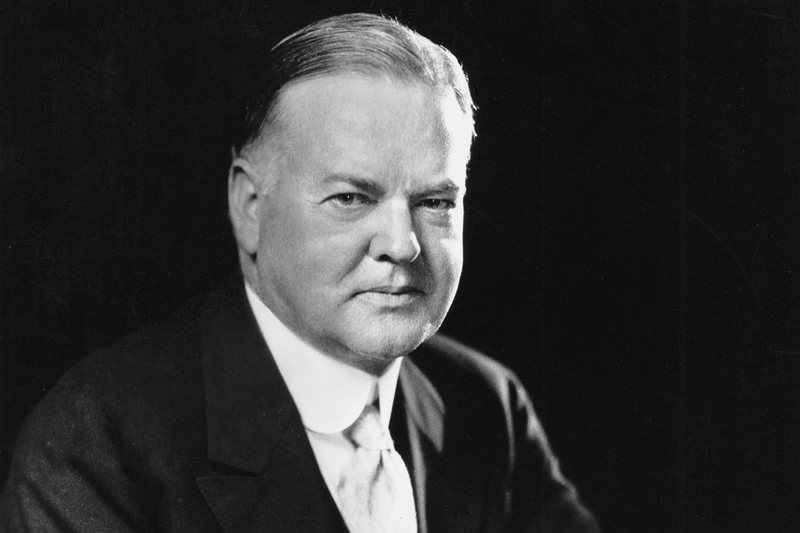 Hoover considered himself an alumnus of the college, donating to the school and encouraging others to do so also. Hoover donated many of his personal books to the George Fox library; they remain in the school’s collection to this day. 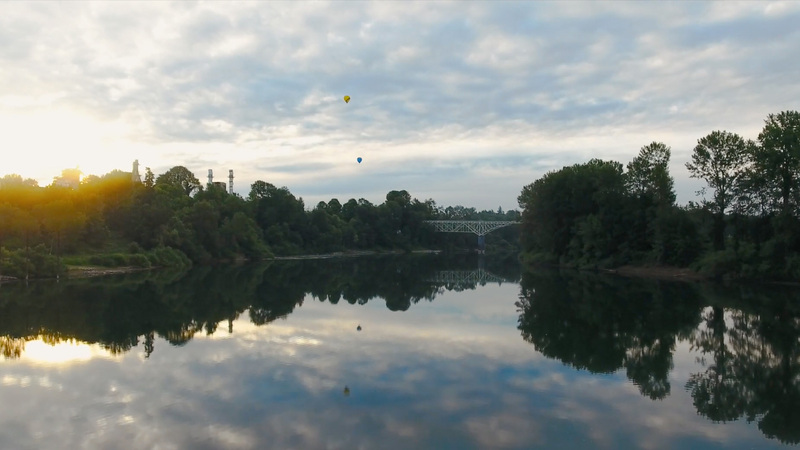 Newberg held a special place in Hoover’s heart, as he returned throughout his life to fish, spend time with old friends, and visit Evangeline Martin, his childhood Sunday school teacher, and longtime President Levi Pennington. In honor of George Fox’s 125th anniversary, we’ve planned a number of special events this fall. We hope you can join us!